CDC researchers helped come with an easy-to-use calculator that can help you determine your risk for heart disease or a stroke. CHICAGO (WLS) -- There is a new tool you can use to tell how healthy your heart is. 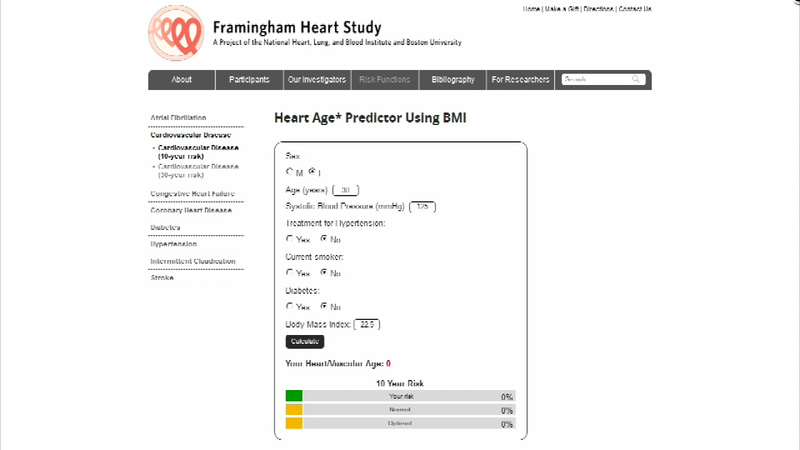 You just enter some details including blood pressure, gender, and body mass index and it tells you your "heart age." Doctors say it's important to know because heart disease is the leading cause of death in both men and women.